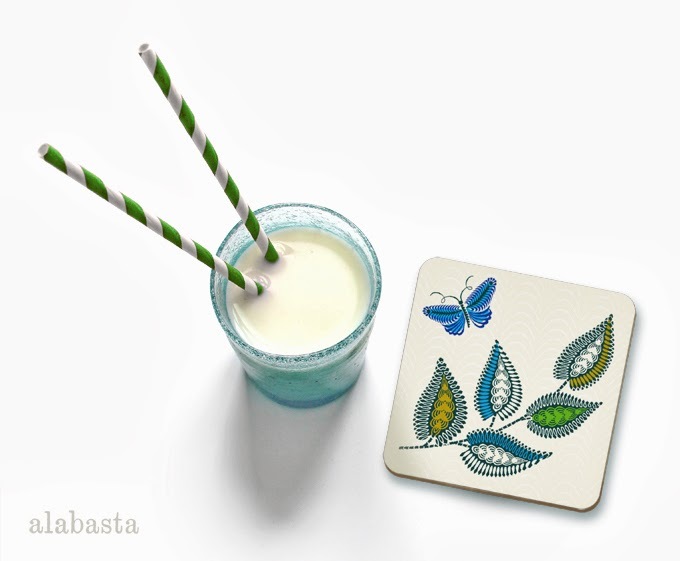 Åry Trays will be showing the current collection of Alabasta trays in all sizes including Folk Stripe, Love Birds and Blue Fish. 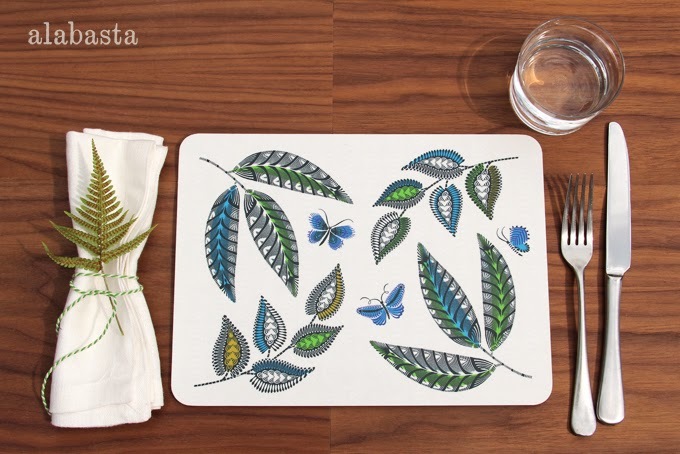 Avenida Home will be showing the current range of Alabasta placemats and coasters including the brand new Forest Leaves design (see photos below) plus hopefully the launch of some very lovely jacquard woven Blue Fish kitchen textiles of which you can take a sneak peek at on my Instagram page. I'll be blogging about those when they are officially launched very soon. I'm intending to visit Top Drawer on the final day but I'm missing Maison et Objet this time sadly - I love seeing what's fresh and new out there and that show covers it all.